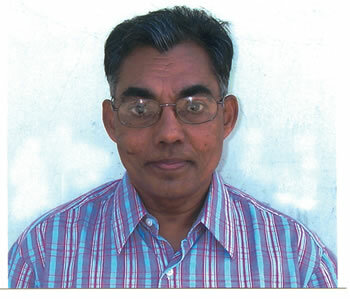 Mission does not always involve going to foreign countries and spreading the Good News to the ends of the earth – rather, it is a call for each one of us to reach out in love to the people in our own lives who are in need of care, concern and compassion, Fr Jacob Kavunkal SVD says. Fr Jacob, a leading missiologist, who teaches at the Yarra Theological Union in Melbourne, says World Mission Sunday reminds us primarily of our Christian call to be collaborators in God’s mission to the world as manifested in Jesus Christ. 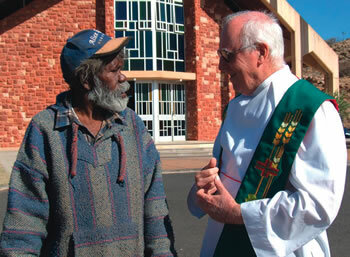 He will be celebrating World Mission Day by visiting the Aboriginal community of Santa Teresa, near Alice Springs and says the message he will take to Santa Teresa is that we are all called to be missionaries, within the context of our own lives, and our own community, to serve as the salt, light and leaven. “We must all follow Jesus in our context, in our specific situation,” Fr Jacob says. “Mission comes down to living in God’s presence and understanding the notion of the Divine Person, that is that Jesus is Emmanuel – God-with-us. Fr Jacob says that to be missionaries for our times, and to show concern for our neighbour means that we must live in a way that does not cast people out. “There can be no discrimination with regard to human beings,” he says. “God has breathed God’s spirit into all human beings. If we are loving and accepting of one another as brothers and sisters, we will be casting out the demons of our time in the model of Jesus.